A little valley, about 500 metres long, consisting of impressive granite rocks shaped by the force of the weather over thousands of years. 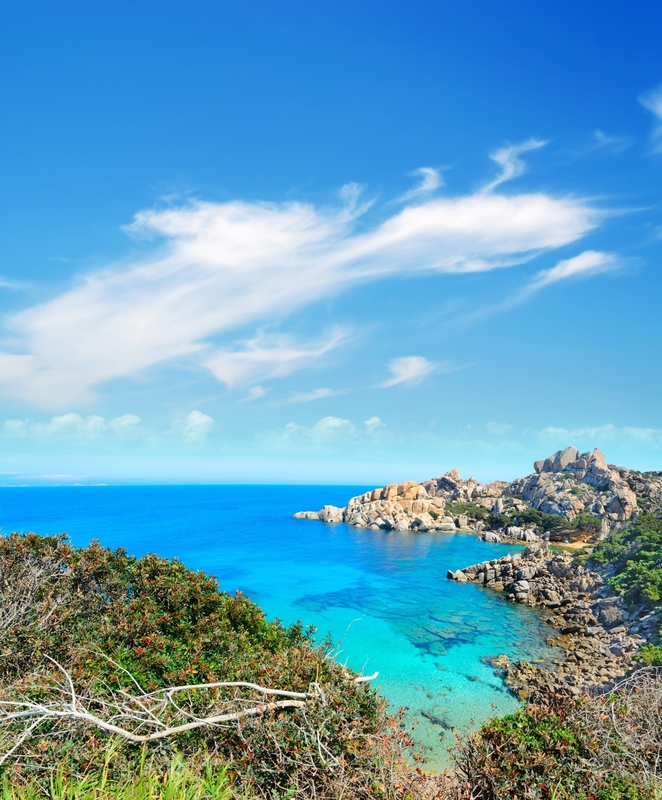 Cala Grande (or Valle della Luna) is located in the western part of the promontory of Capo Testa, in the territory of Santa Teresa Gallura, approximately four kilometres from the residential area. You will see hidden little coves appear between the rock faces, with turquoise and crystal clear waters, made magical by the contrast with the golden colours of the rocks and the green of the dense Mediterranean scrub, in which there are strawberry trees, myrtle and heather. Since the late 1960s, the promontory has been chosen as a home by a group of hippies and naturists, who have helped to keep it unspoilt. It was named Valle della Luna because of the unusual white colour of the rocks in the moonlight.A spectacular setting in which peace and nature rule, as in the other beautiful places in the valley: the coves ofl’Eaand Mezzu. 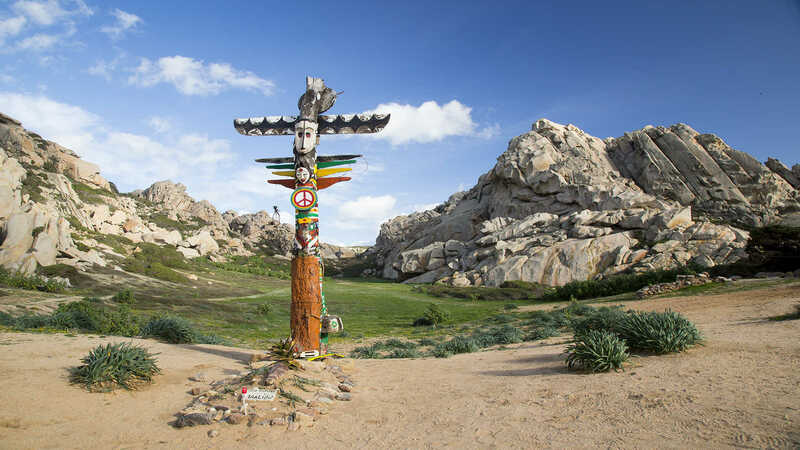 Here, you can enjoy breathtaking, evocative landscapes, particularly popular with diving enthusiasts, which can be found everywhere during a visit to the whole area of the promontory. 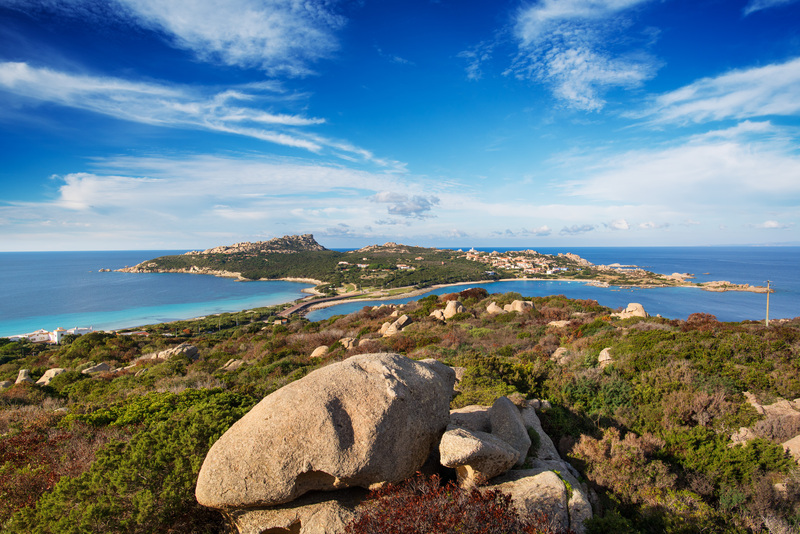 Valle della Luna is one of the symbols of the long, splendid Santa Teresa Gallura strip of coastline, which offers you a myriad of must-see beaches: during your holiday, you can visit one or more per day. 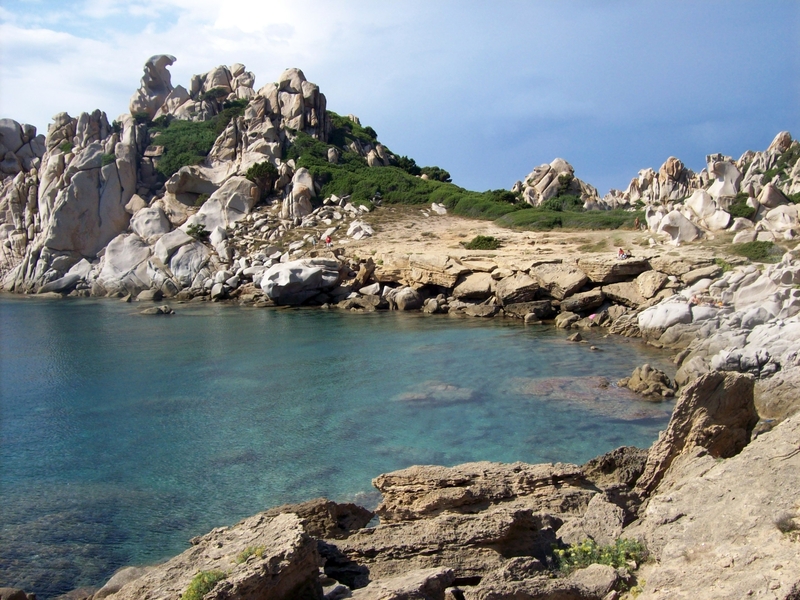 Starting with Capo Testa, which is joined to the mainland by a strip of sand forming Rena di Ponente (or Taltana) to the west and Rena di Levante to the east. Also near the peninsula-promontory, the little rocky coves of Santa Reparata are also worth visiting. 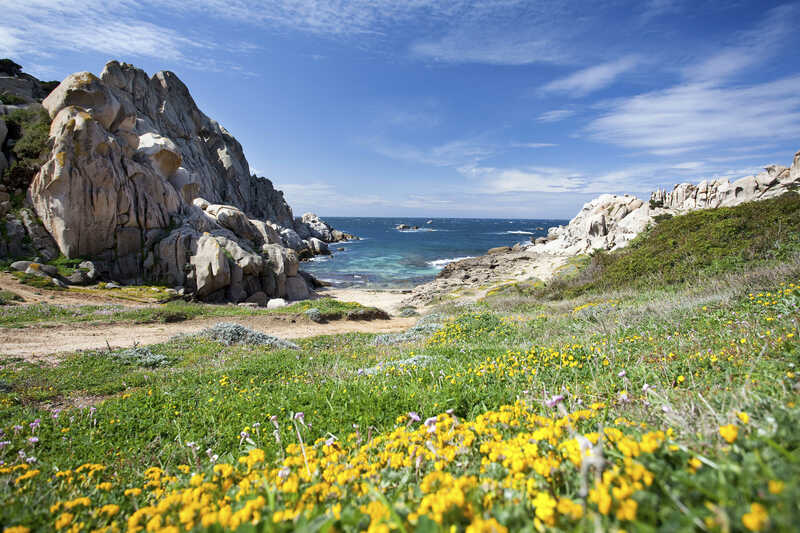 A short distance from the old town centre of the renowned locality in the Gallura area, you can enjoy the dazzling colours and the transparent purity of Rena Bianca, a city beach of inestimable beauty. To the east of the residential area, you will find the picturesque Cala Sanbuco and the large and well-equipped La Marmorata. 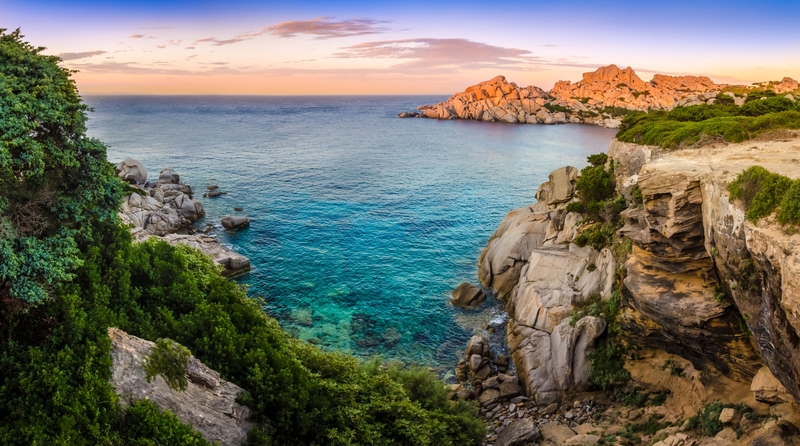 Continuing on in the direction ofPalau, you will find the granite pools of Valle dell'Erica, Porto Liscia-Sciumara, the home of windsurf, and the captivating peace and quiet of the Conca Verde. After passing the Capo Testa isthmus, turn left and continue for about 1 km. After reaching a cluster of bungalows, continue on the right until you reach a small clearing. Take the footpath that will lead you with a meandering 700 m course to the valley. Do you like this place? could be your ideal destination.